Over the course of the trip, we all received a strong dose of DBS (Danaher Business System) and witnessed its culture in action at “ground zero”. There was much emphasis on being data-driven and self-driven. We spoke to past MBA interns who have joined the company full-time and have done exceptionally well. We learned about new HR initiatives aimed at improving career movement and development of MBA hires. We also talked about family-life balance and diversity. All of these discussions gave us meaningful glimpses into what a full-time gig at Danaher is like, and whether it would be a good fit for us. 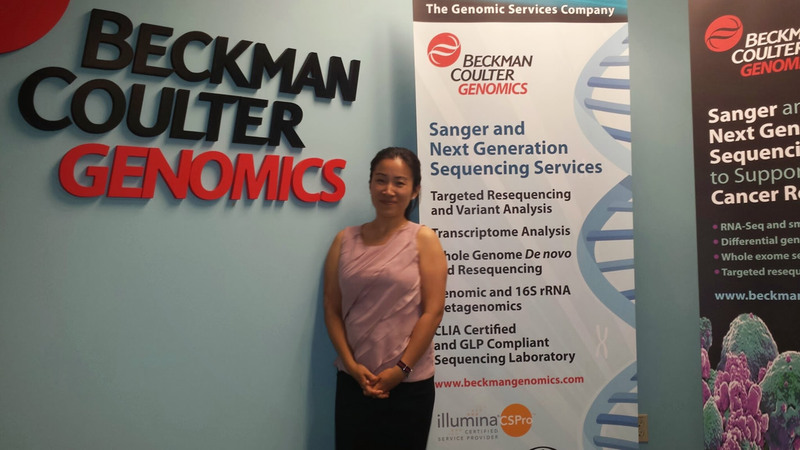 For myself, I had just kicked off a round of customer surveys for the marketing plan that I’m working on at Beckman Coulter Genomics. On the first day of presentations, I was at the edge of my seat not because of the content, as engaging as it was, but because I couldn’t wait to start reviewing survey results. The direction of the marketing plan and my next steps all hinge on the feedback from customers. We needed high quality results and enough of them to make the data statistically significant. Back at the hotel that night, I was finally able to take a first look at the results. Some strong trends were already emerging. If they continued, I will be able to confirm and reject several hypotheses already. It also looked like I was off to a good start, with the number of results reaching almost two-thirds of the target already.